The Institute for Jewish-Catholic Relations is directed by two professors in the Department of Theology and Religious Studies, both with expertise in the theological and historical relationship between the Christian and Jewish communities. They teach courses on the subject in the Department, cooperate in writing and research, oversee the activities of the Institute, and coordinate its several national and international collaborations. Philip A. Cunningham, Ph.D., is Professor of Theology and Director of the Institute for Jewish-Catholic Relations of Saint Joseph’s University. Interested in biblical studies, religious education, and theologies of Christian-Jewish relations, he is the author of numerous book and articles on these subjects, most recently, Seeking Shalom: The Journey to Right Relationship between Catholics and Jews. 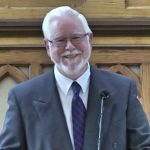 He has served as President of the International Council of Christians and Jews and is the secretary and webmaster for the Council of Centers on Jewish-Christian Relations. He is also webmaster of the CCJR's online resource supersite called Dialogika. In 2017, he was awarded a Doctor of Humane Letters, honoris causa, by Gratz College. Adam Gregerman, Ph.D., is Associate Professor of Jewish Studies and Co-Director of the Institute for Jewish-Catholic Relations. 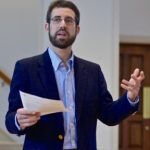 With training in classical Jewish and Christian sources, he studies the complex relationship between these two traditions from antiquity to the present. He focuses on biblical interpretation and religious polemics, especially about theologies of the land of Israel and experiences of suffering and loss. He is a member of the Committee on Ethics, Religion, and the Holocaust at the U.S. Holocaust Memorial Museum, Vice-Chair of the Council of Centers on Jewish-Christian Relations, and reviews editor of Studies in Christian-Jewish Relations. He is a frequent consultant to national Jewish groups on interreligious affairs. Dr. Gregerman is the author of Building on the Ruins of the Temple: Apologetics and Polemics in Early Christianity and Rabbinic Judaism. 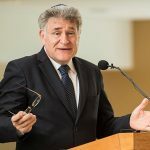 Rabbi Abraham Skorka, Ph.D., was appointed visiting University Professor by President Mark C. Reed, Ed.D., beginning in the fall of 2018. 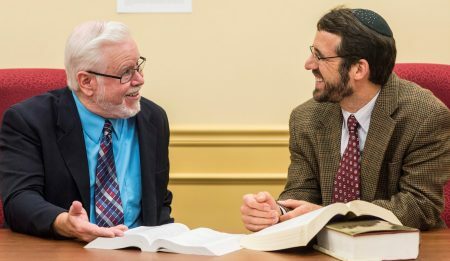 After serving for nearly twenty years as professor of biblical and rabbinic literature and rector at the Seminario Rabínico Latinoamericano Marshall T. Meyer in Buenos Aires, Rabbi Skorka works with the Institute’s directors to further its theological and educational mission. A leader in the Masorti (Conservative) Jewish movement, he has been dedicated to interreligious dialogue in the tradition of Rabbi Abraham Joshua Heschel his entire career. With the future Pope Francis, he hosted over 30 television programs in Argentina. They co-wrote On Heaven and Earth, a book on their exchanges and later explained the personal importance of their dialogues in this video . Visit Rabbi Skorka's blog HERE. Dori Pappas, the Institute's Administrative Assistant, has been with Saint Joseph's University since 1986. In addition to her work with the Institute, she is the administrative assistant for the Economics Department and the Interdisciplinary Programs in the College of Arts and Sciences. She enjoys traveling with her husband and two children.